The autumn sale at Hermann Historica, which will be the 71st sale to be held at the Munich auction house, includes objects from the ancient world through to the Middle Ages, as well as pieces from the royal courts of Europe. Bronze crest helmet, Urnfield period, manufactured in the 12th or 11th century BC. Because of its rarity and very good condition and has characteristics of the Late Bronze Age, the starting bid for this piece is €28 000. 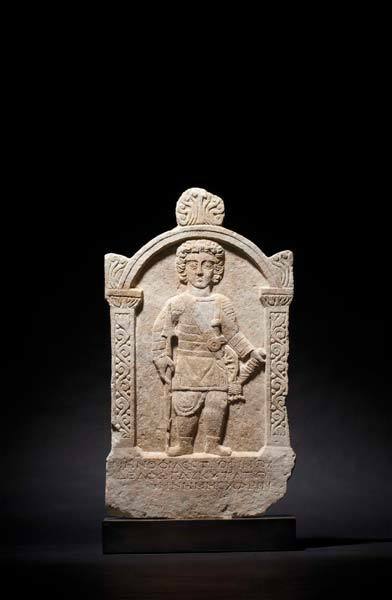 A complete roman marble gravestone with a detailed portrayal of an armed man from the 3rd century is one of the highlights of the auction. The gravestone has clues that this was the gravestone of a "venator", a professional huntsman who made appearences at animal hunts in the arena. This gilded, engraved and signed miniature Coffer by Michel Mann was made in Nuremberg in the beginning of the 17th century. The lid depicts Mary and Joseph and portraits of the Apostles are featured on its cladding. This gothic sword of the Battle of Castillon (1453) has a very broad and strong double-edged blade that gets smaller to its point and has a slight midrib. No many more or less than 80 preserved medieval swords are recorded from the battle of Castillon-la-Bataille. 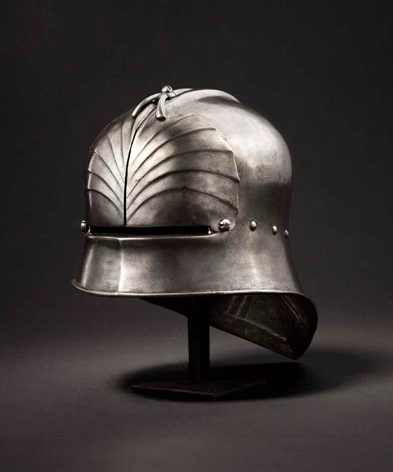 Made by the hands of a skillful medieval armourer, this late Gothic sallet is a fantastic piece of 15th century history. 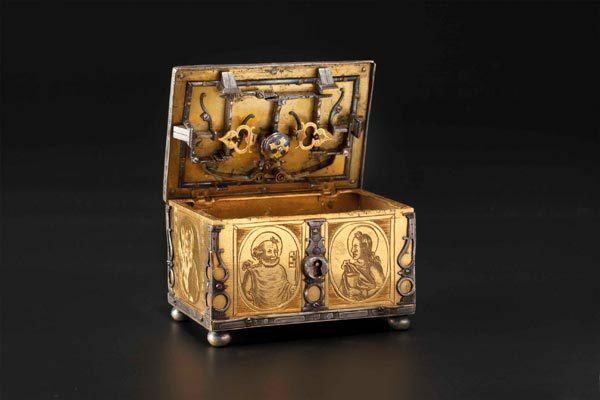 The piece was likely made around 1490 in Innsbruck. 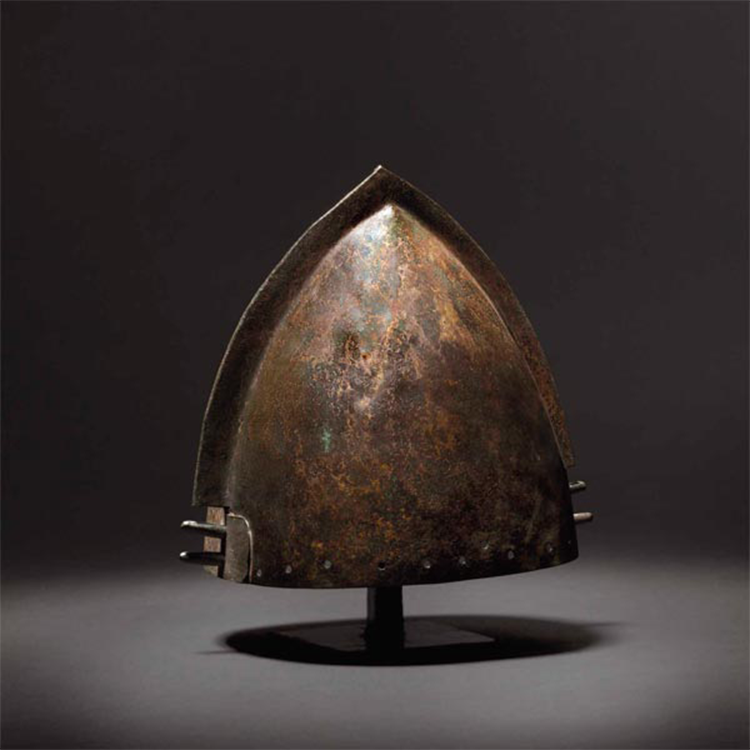 This rare tournament helmet was made especially for jousting, as it is a heavy piece of armoury, which would have allowed the lance point to be deflected, diminishing the force of any blows to the head. A larger-than-life bust of the 16th president of the United States, Abraham Lincoln (1809-1865) represents the U.S in the sale. The work was crafted by Professor Joseph Kapfenberger (1882-1974), who, in 1939, emigrated from Germany. 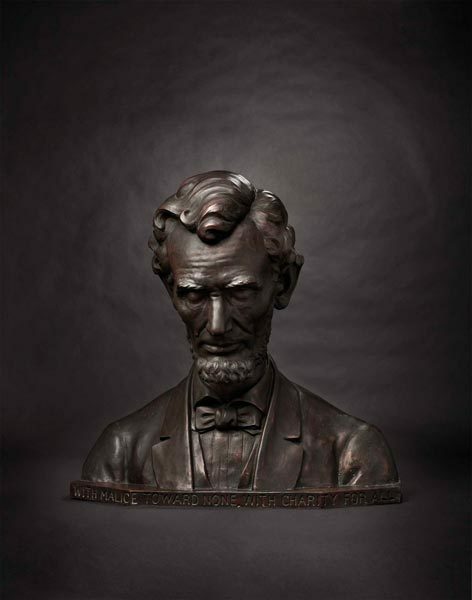 On the pedestal of the bust is the artist's signature as well as a quote from Lincoln's famous speech from his second inauguration, "with malice toward none, with charity for all." 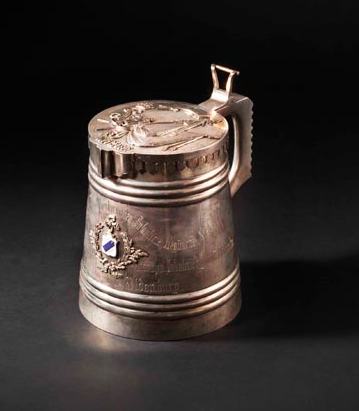 This tankard, in the shape of a wooden barrel, was a present for the Royal Prussian Oldenburg Infantry Regiment No. 91 to celebrate their 100th jubilee, from their brothers-in-arms, the Imperial Russian Infantry Regiment No. 67 Tarutinsky. 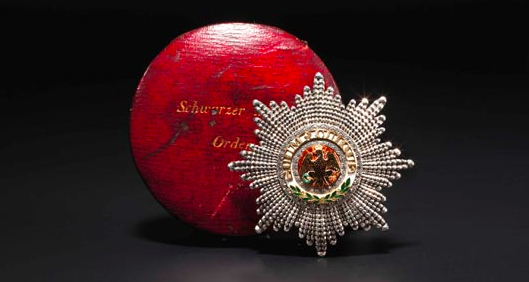 This Breast Star to the Order of the Black Eagle 1842 of Prince Albert of Saxe-Coburg and Gotha (1819-1861), the husband of Queen Victoria of Great Britain (1819-1901) a piece fit for a museum. On January 30, 1842, Prince Albert was admitted to the order of knights and decorated with the superior Prussian order by King Friedrich Wilhelm IV of Prussia. Check out the entire Hermann Historica catalog here.